This is an effort to list out all the Films that have been released in Malayalam, till the 2000’s, with a lot of help from the contributors to the Wikipedia Lists on Malayalam Cinema and from the celebrated Indian film historian, Mr.B.Vijayakumar. The answer would be that I feel more comfortable here, its my comfort zone here, and hey, there is also this little rogue called selfish interest who peeks his head out, once a while :). I will base the lists on the basic format of the Wikipedia Lists, but intend to fortify it with relevant and updated details, based on my research and shared information with passionate archivists of the genre, who are happy to stay in the background, but are in themselves, treasure troves of information on the development of Malayalam Cinema. Two of whom I have managed to get in touch have been R.Gopalakrishnan, and Mr.B.Vijayakumar ( the one and only one who powers the OLD IS GOLD Column on Malayalam Cinema of The Hindu‘s Kochi Edition.) More on them as we go slowly and surely down the years. Where I get kayyum thalayum purathidaruthu(1985) old movie?Anyone knows? where can i get Kamalhassan Jayasudha movie RASALEELA which released in 1973. Where can I get the CD of the 1978 Malayalam movie “Manoratham” in which P. Bhaskaran and Sankaradi have acted? Do you have any info about a 1998 film called Chitra varna theru? I have come across songs sung by chitra et al, but nothing else about the film. At that time a friend told me the name of the actress was Sadhna (not Hindi film late actress). I don’t know whther he was referring to class master spouse or the adopted child. I think is the class teacher’ spouse. I saw a black and white South Indian movie on TV some years back (don’t know the language in the film). The film was English dub. I would like to know the name of the film. The story revolve around a school master in a village with his wife. They did not have any children. One of their neighbor has a small daughter but the man was always drunk and used to beat her. So the school master and his wife adopted the small girl. Eventually the girl would grow to become a heroine who felt in love with a hero. And with the blessing of her adopted parent they married. Then tragedy occurred the girl died at the time of delivery of a baby boy. The master and his wife adopted their grandson. After some years the father would come to seek custody of his son. so they with a heavy heart gave him his son. The film ends with the scene of the old couple walking in the cultivated land and disappears. Its a classic movie. I would like to see. But since my language is Urdu I do not remember the name of the film. Could someone who might know let me know the movie name so that I could aearch whether its available. It is not Oru Minnaminunginte Nurungu Vettam as Ahmed clearly mentions it is a B&W movie, which OMNV isn’t. Also he mentions he is unsure of the language of the movie – it could be Malayalam, Tamil, Kannada or Telugu for all you know. Other than the character premise of the School master and his wife, there is no similarity between the movie’s story and that of what he has described. Guess we will have to keep looking. MSI MOVIES HAD PUT THIS MOVIE IN JAN AND FEB 2015 IN YOUTUBE . .I HAD SEEN THIS MOVIE .A COMEDY FAMILY ENTERTAINER BY PREMNAZIR,UMMER,SHANKARADI,ADOORBHASI ETC.NOW THIS IS DELEATED FROM YOUTUBE. athu ammini ammavan anu reji. ee film ambili ammavan. undapakru aadyam abhinayicha film alle sumesh? 1) movie Aval(1971) Mrunalni, Mrunali..Nin mizhi ithalil…..
2) Pari jatham Thrumizhi Turannu…. 3) Ne Evidea nin nizahl evide…Ninnil kalam nattu valarthiya…. right now… you cant find HARSHA BASHPAM in any sites… that is a very rare film never shown in tv channels.. and so it wont be going to release in dvd or in sites… only source is you try to get a video cassette copy which i am doing now. soman and his elephant are the central character of that film. soman’s character has a negative shade, and when vidhubala rejectes the love of soman and marries K P ummer, soman becomes very angry and he is looking for a right time to take revenge against the couples.. and the film takes an interesting turn when his elephant becomes the enemy of soman. try to get a video cassette otherwise you wont be able to see this classic film of soman…. i have given you a deatiled reply abt harshabashpam mr sajeer… i think you didnt read it. a big percent age of majority of old malayalam movies cannot be downloaded (or upload) from any so called SITES mr sajeer..
DVDs and old Malayalam movie titles are mutually exclusive – you need to consider yourself very, very very luck if you can get hold of a DVD copy of any classic film title for that matter, starting with the popular ones. They hardly exist, and at times I feel that the old VHS tapes are a great blessing when it comes to classic Malayalam movie titles. With regard to Prameela’s movies’, am sure you would have a comprehensive list of her filmography by now, being such an ardent fan. You could keep a track of her movie title releases at any of these online shopping places which I feel keep their stock fairly updated, at MyIndiaShopping or Maebag India. Thanks, cm. thanks for the prompt reply…..
Thokkukal kadha Parayunnu enne cinemayile kannuka ajnhatha sankalpa gandharva gopura….. ennu thudangunna paatu evedeyenkilum available ano, aanenkil ariyikkuka sir. So in what manner would you like that I should have responded? I do not stay in Kerala, whereas he does, and the inputs that I receive here are publicly shared for the benefit of everyone in this forum. All the information that has made this forum enriching come from people who are on different parts of the planet bound together by the love for Malayalam cinema and its history. I did point him in the direction which I thought would get him to his objective, didn’t I? Please understand that we all have our professional commitments which take a lot of our time, and we balance all of this in the best way we can. The director whose movie he wants stays in his neighborhood, but instead of me requesting him to contact him directly, you would have rather wanted me to chase down a friend’s friend who stays on the other side of the planet to have a copy couriered to me to India, so that I can contact Reese with his physical address where I can courier it to? As I repeated earlier, we do have our limitations, and most often, we suggest the best practical options that can address the issue the fastest. Hope this clarifies. Thanks, cinematters. Recenly when i was going through the Filimogrpahy of the old actress Bhavani there is a mention of a filim Sthree oru dhukham I never heard about that filim though in the seventies i was a littile boy it says the filim also has Vidhubala my favourite . may be it doesnt released . . cpuld anyone tell me about the details . Sir it is Kishore again. I have a request to make u sir. Can u give a detailed write and article and filimography of ( every filim she have acted like u have done with vijayasree) My favourite actress Vidhubala, Miss Kumary and Srivdhya . I have seen the article about vidhya but disappointed not to see her the filimogrpahy of her please . Hello sir, automatically i saw this site and i am very very happy! could u help me to find old malayalam filim magazines from the 70s and 60s and 80 s . please . i am dying to have it.want old issues of Cine Rama, Filim magazine ( old Kamudi film weekly) , Nana, cinema masika and also old malaylam weekly from seventies. . i will give good amount for that. and also old 60s and 70s malayalam movie CD . . I occasionally search for old cinema magazines at the secondhand bookshops at TVM. But its very rare even to find an issue pre- 2005-06. Thanks for ur reply and ur help. I also like to get hold of old movie CDs of malayalam tamil amd hindhi from the 60s to 80 s. And the way u present our most innocent and beautiful photogenic Urvashi sharadha is great . I always appreciate her innocence looks . And her experssive eyes .the most beautiful eyes i haveseen . while seeing and hearing Vasumathi song from Gnadharva Kshethram and Sooryakanthi . .Yes nost expressive and haunting eyes . . .
Gopalakrishnan Sir is a person who is active in this Forum- though he jots only occassionally. I have by separate mail send across the mail id and tel no. of GK Sir to our CM. GK has been collecting the magazines for the past 40+ years. Its a collection not born of a bulk purchase..
you are right sajith bhai.. but kanninu pookaniyaam kannappanunni was there in the script.. kunchako wanted to picturise it on ragini.. situation was aged unniyarcha remebering her brother aaromal chekavar while seeing his son KANNAPPANUNNI.. it was due to the sudden death of kunchako that caused the omission of this song in the final print as VINCENT master who completed the film made some changes in the script..
Glad to see that this site is being devoted for old malayalam songs. It has now become practically impossible to have a collection of malayalam film songs in the 60 – 70’s era. Your effort must really be lauded. I may draw your attention to the malayalam film songs especially those in the golden era . You may have noticed that the old songs are not complete .i.e., they are truncated in the LP/SP/EP records. The best example is ” ചന്ദ്രകളഭം ചാര്‍ത്തി ഉറങ്ങും തീരം ” sung by Sri. K.J.Yesudas which has only half the song when compared to that sung by P. Madhuri. What can we do to recover and save these precious songs of our golden era ? P.S: I got the full version of “Chandrakalabham’ sung by Sri. K.J. Yesudas recently. the best way to collect full version of malayalam songs is to collect it from VHS.. even you get the JANMADINAM JANMADINAM song from kottaram villkkanundu if you have its vhs.. many examples for this.. one simple example is film ROWDY (sathyan) one song is missing in ithe records which was a different type song PALATTU KOMAN VANNALUM PARAMU CHATTAMBI MAAROOLLA.. we can only get that song from the movie (video cassette) and not from its record or tape. did someone get hold of Chandrakalabham video?? You are right. Records and tapes have their own limitation. Njaalipoovan Vaazha poo pole (Karakaanakadal) is never released in records. Similarly the song Arayanname (Vivahita) to my memory was also not released in records. Also i am not sure whether the songs of Vivaaha Sammaanam and Achante Bhaarya was released in records. But there are a few songs which appeared in records but was not included in the movie. In the film Raagam there is a song Guruvaayoorappan thanna nidhikkallo pirannaal pookkal sung by yesudas. I think that this song was substituted by Aa Kayyilo Ee Kayyilo maybe because of the controversial lines in the pallavi. The song is available in salilda.com. Another song is Tirunelli Kaattilo from the film Bhoomidevi Pushpiniyaayi sung by P Madhuri and P Jayachandran. in this case also i think that this song was substituted by Nadikal Nadukal. Kanninnu Pookkaniyam Kannappanunni from Kannappanunni is also missing in the film. I could find a short video of ‘Chandrakalabham’ uploaded in Youtube. Here is the link. I don’t think it is the full version, though. Great effort… Can u also collect the database of songs of each movie ? 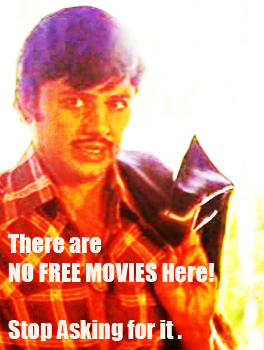 As far as my knowledge.. there is no such movie library my dear friend vijesh…. during late 1980s and early 1990s, doordarsan had telecasted films using movie projector and film rolls taken from lab and once film is telecasted, the film were taken back to lab.. dd had telecasted kottaram vilkkanundu, pazhassiraja, paalattu koman, paticha kallan etc by that way..
later, dd telecasted films which were given to them by its producers who had prints of their films or idea abt the source of prints..
Is my morning cup of kattan chaaya too weak..or did I see snowflakes falling all over the screen of OMC.?? CM thanks..for the special touch on the screen… it is refreshing.. If you feel I am crazy, pl forget it. Is there a dialogue like that in the movie?? In vandanam I dont remember hearing a dialogue starting with “Kavilinayil”..which then becomes the song.. The dialoge before song is “Aakasha Mounam” from film Mainakam realeased in 1984 acted by Ratheesh and Menaka in the song scene. The song is sung by K.G.Markose. I want to see the old one Kottaram Vilkkanundu . Can anyone help me?. KOTTARAM VILKKANUNDU was available only in the doordarsan library and it is heard that they lost the last available print of KOTTARAM some 7-8 years ago..
now the remote chance to acquire that movie is from any private person who has got the VHS copy of it.. similar fate also about classic movies of prem nazeer like THIRUVONAM and CHATTAMBI KALYANI.. these films wont be able to telecast/available at market in future..
luckily i have the VHS converted copy of CHATTAMBI KALYANI witth me..
CM ,I still have hope that Kottaram will be somewhere inside there library..as is the case with Government offices it could be hidden under the piles of files..lying around. Rememnber how Marthandavarma print was found from a book publishers office. I have experience in “hunting” for a lost file in the dust and spider filled record room of Kerala watr authority. I am willing to go and hunt for it.in their record room librabry whatever. that was not expected cine mattersji . one of my friend had got a bitter experiance from thampi sir when he went to give thampi sir one such movie much earlier. he said that he had a narrow escape from a burning hot thampi sir… i am afraid of thampi sir’s charactor..
I’ve been hunting for the CD of the 1978 movie PAADASARAM. Any idea if the same is avialable? paadasaram, maasapadi maathupillai etc are available only at doordarsan’s library at tvm.. they have telecasted these movies some 20 years ago. i would like to watch Brasht (1978) movie, i couldn’t find that movie.could you please help me to find out that movie. Thank you so much for passing trough and writing in to OMC. A legal copy of the movie is yet to hit the market to the best of my knowledge, though am sure there would be a few copies with private collectors. I believe this was the the only directorial venture of Thripprayar Sukumaran. Will let you know as soon as I get anymore information on this..Thanks and regards..Cinematters. its very glad to get such valuable informations through this site. thanks a lot. but the list of 70’s to 2000is not opening. malayalam drama song cheppukilukkana changathi from mudiyanaya puthran. I just could not get what exactly you meant or were trying to convey? Is it that you want a downloadable file of the song? If it is, the CD is easily available at any of the music shops as far as I know.